Q:Where is text 1 text 2 text 3 displayed? Q:Hey I want to order 5 watches but want them engraved differently how do I go about this? 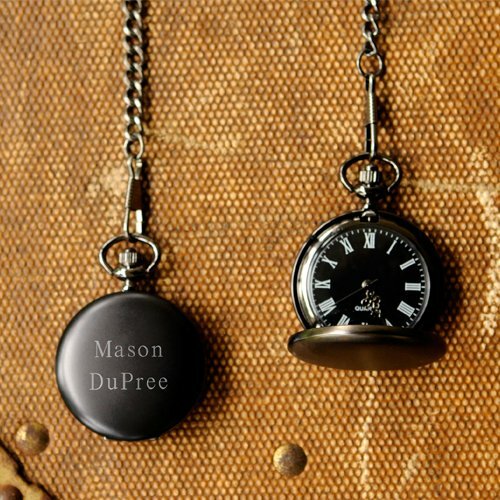 For your groom or groomsmen, give them this handsome personalized midnight pocket watch. It's a classic look with a modern twist, featuring an attractive black finish and matching black face adorned with white Roman numerals. Secured with a 14 inch long matching chain, this smart accessory is more than a timepiece, it's a conversation piece worthy enough of your mod man.